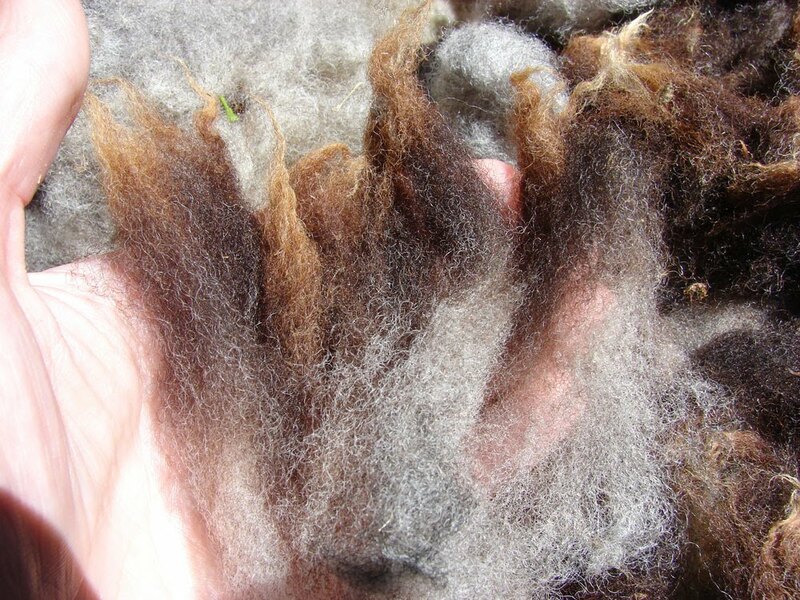 The first fleece is washed and dried. 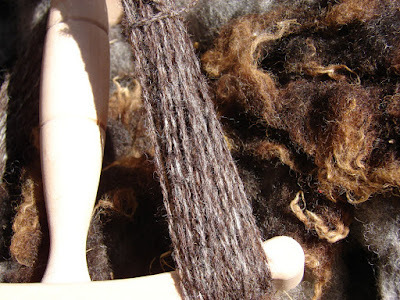 The locks are brown at the tips and silver-grey lower down, crimpy and long - some of the fibres stretching out to six inches. I decided to flick the locks first before putting them through the carder, to take out short bits and so that I could card it just once and not mix the colours up too much. 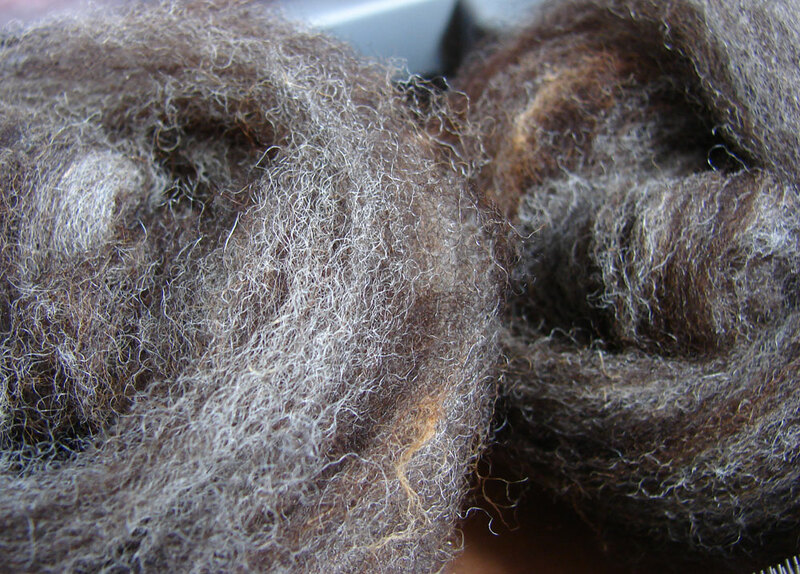 This is the first sample, heathered silver-brown. Amazing colour graduation in those locks! Lovely - just hope my BFL Fleece comes out as well. Thanks spinstar - that graduation is a bit of a mystery, I've taken some to a friend more experienced than me, she was intrigued. Good luck with your BFL, Sassy Spinner.